When it comes to surviving a disaster, having survival skills and know-how is as essential as having the necessary survival gear. Without the right knowledge, survival gear is useless. 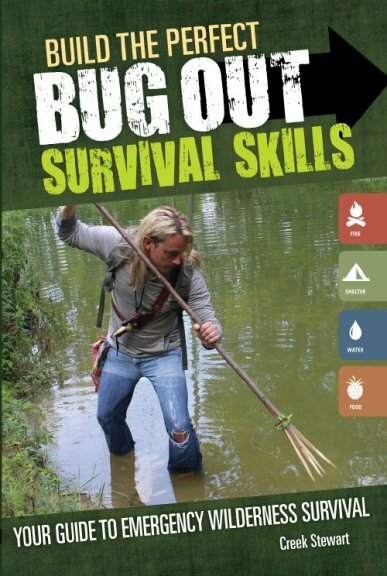 Build the Perfect Bug Out Survival Skills will teach you the essential wilderness survival skills you need to endure a bug out situation or prolonged off-grid scenario. You will learn how to meet the four core survival needs – shelter, fire, water and food – with a minimum amount of equipment. Detailed photos and step-by-step instructions will help you master each skill. FEATURING: Detailed instructions for survival skills that require little gear – an emphasis on primitive tools, Step-by-step photos that clearly illustrate complex techniques like knot tying, shelter construction, fire building and setting snares and traps, and Advanced knowledge that could save you and your family during a real emergency.